Expertly restored by renowned architect, David Rockwell, The Carlton Hotel heralds a return of opulence and style to please both the corporate and leisure traveler. Located in New York's emerging Madison Square Park district of Manhattan, this historic hotel is within walking distance to both the Flatiron and Empire State buildings. Amazing that you can be in Chelsea or the Fashion District, perhaps Union Square, in just minutes. 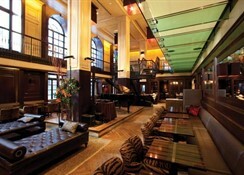 The Carlton's location is ideal for all your New York City plans! Accommodations are some of the largest in New York City. Sumptuous custom furnishings adorn the rooms, offering all the high tech needs for today's traveler, including complimentary Wi-Fi Internet access. 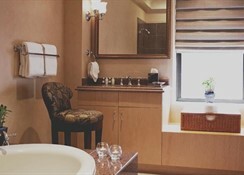 Accommodations feature rich soothing earth tones that provide an atmosphere of tranquility, elegance, modern luxury and classic sophistication consistent with a four-diamond hotel. The Carlton hotel conveniently located near Fifth Avenue in New York City, guests seeking an extraordinary urban getaway will be pleasantly surprised by our luxury hotel's seamless integration of old world charm and modern flare.The Carlton's guests can experience the hotel's unparalleled service and luxurious amenities, secluded in a unique urban setting and perfect for a romantic getaway to Manhattan. 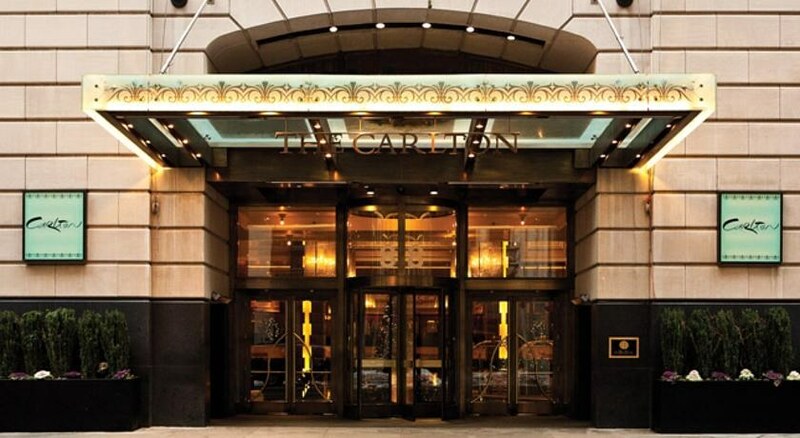 The Carlton hotel features intimate spaces where guests can relax, away from the energy of Midtown New York, while also serving as an elegant backdrop for business meetings and special events. We are proud to serve our discerning hotel guests in any way we can and invite you to explore our contemporary retreat on Madison Avenue. 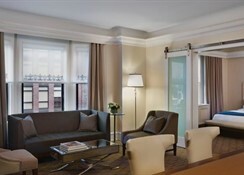 The chic rooms and suites come with free Wi-Fi, 42 inch flat screens and iPod docks, plus minibars. Suites feature separate living areas, and plush penthouse suites add poker tables, pool tables, Jacuzzis or bars. The Carlton hotel features several on-site dining options that offer convenience, elegance and above all else, exceptional food and drinks. Enjoy live music/DJ’s nightly in the Salon while enjoying French and Mediterranean inspired small plates by Chef Laurent Manrique. 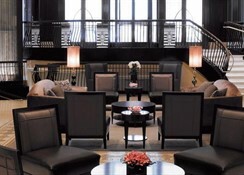 During the day, guests are invited to relax in our lobby bar, grab a coffee, tea or any other beverage or light bite from the lobby bar and take advantage of our complimentary WIFI or watch a game on the flat screen TV. 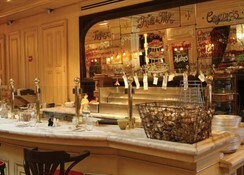 The Carlton hotel Lobby Bar features a mahogany bar that dates back over 100 years to the original hotel. This upscale, Midtown beaux arts hotel built in 1904 is a 7 minute walk from the Empire State Building and 1.3 miles from the High Line elevated park.